Free Shipping on ALL Worms! When you buy worms from Worm Farming Revealed you're buying the finest of breeds. 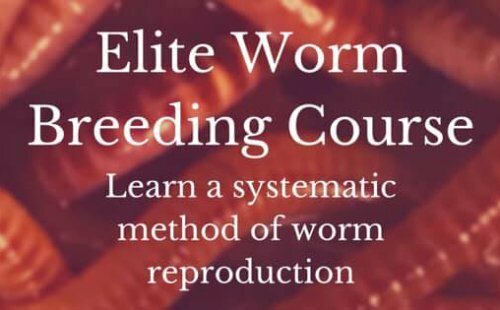 I know if you have read the worm farming guide, you'll give them a good home where they'll help you recycle, bring you happiness, and help you grow something amazing. Worm farming is my passion and I want others to learn how to vermicompost and to teach others how to do it. That's one of the best ways we can get back to healthier living. So order worms from WFR and become the best worm farmer you can be. Okay, now your ready to order worms, but do you know exactly which ones to buy? Well, I'll make this really easy for you. Which Type of Worms Do you Want? then we have a few composting worms to choose from. If you want to turn your Clay Soil into fertile ground then you'll want the Alabama Jumpers. If you just want to go fishing then we have Canadian Nightcrawlers and European Nightcrawlers to choose from. This last choice really depends on what fish you're fishing for. Most fish like worms but you decide. *Before you order worms please View our Worm Shipping Policies. These are living creatures that need your immediate attention. Many Worm Suppliers Will Send you the Wrong/Mixed Species! My book covers what to look for, deal with, and avoid this.